Despite the efforts of the scientific community, crucial points in the PRRS virus immunology are still poorly understood; some might even say that some remain totally obscure. 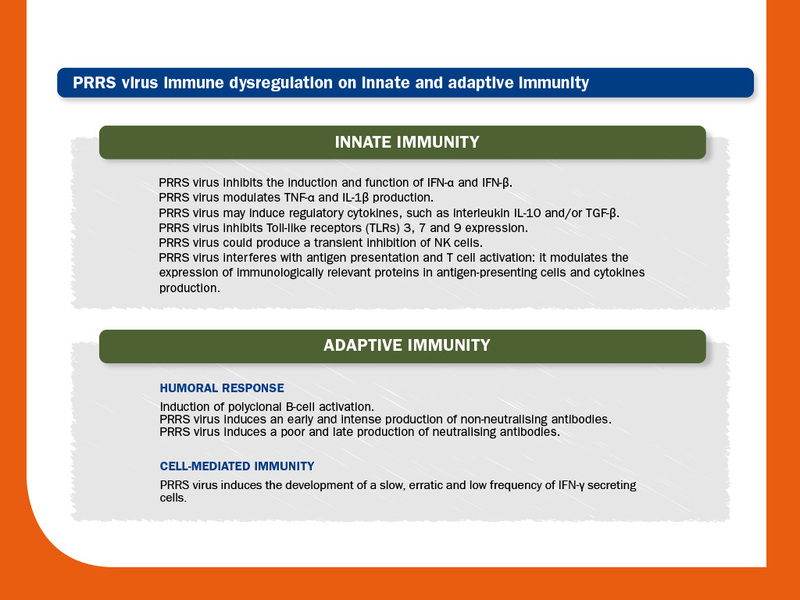 Nevertheless, it is widely known that this virus is able to evade the host immune response by several mechanisms; PRRS virus can strongly interfere, modulate or inhibit numerous processes throughout the development of both innate and adaptive immunity. This interference can extent the replication period and, consequently, the chances of transmission. 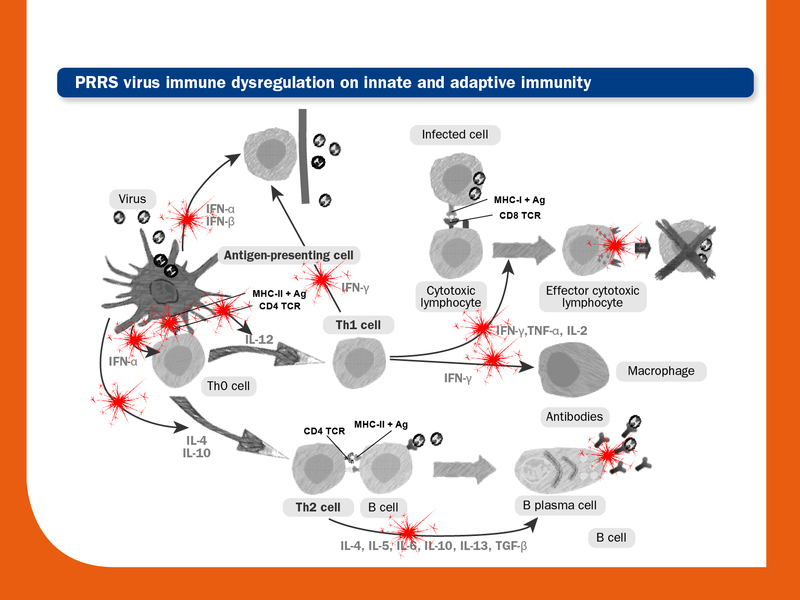 The diagram below shows PRRS virus immune dysregulation on the antigen presentation process and Th polarisation (Th1 and Th2). 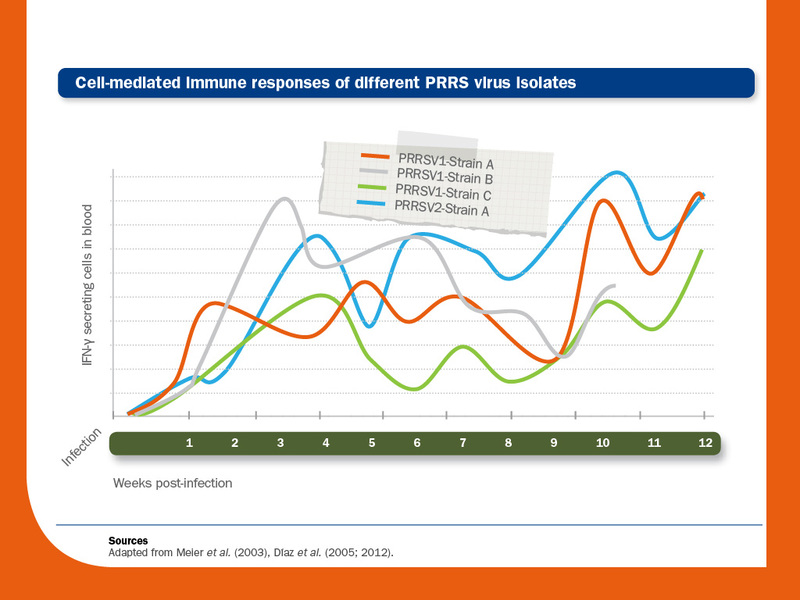 Humoral responses and cell-mediated immunity to PRRS virus are particularly unusual and delayed when compared with other swine pathogens. 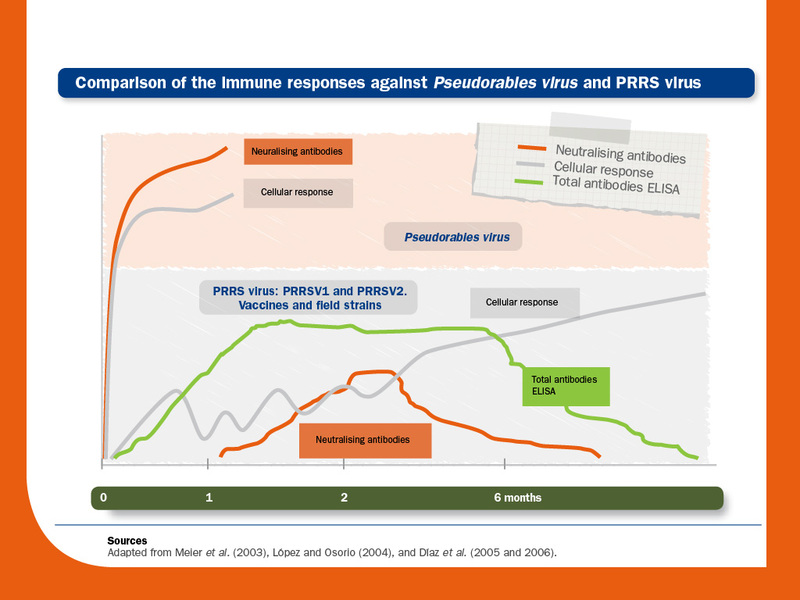 Cell-mediated immunity and titres of neutralising antibodies vary according to PRRS virus isolates. 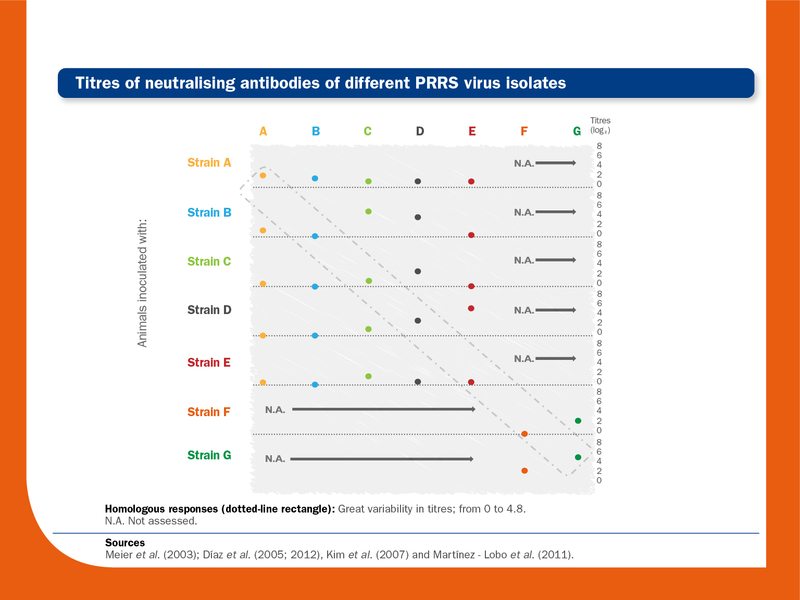 A remarkable degree of variability in the induction of cell-mediated immunity and neutralising antibody levels can be observed in individual pigs and in for every PRRS virus isolate. Also, isolates can differ in their susceptibility or resistance to being neutralised by preformed neutralising antibodies.